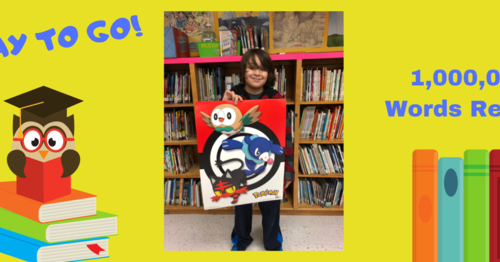 Congratulations to Mrs. Navarro's 4th Grade Class! They had 99.73% perfect attendance during the 1st six weeks! Rock Your Socks! Bring Awareness to Down Syndrome. Welcome to Andrew Jackson Elementary! Please note: McAllen ISD student, teacher, alumni and staff photos are on-going and will be updated at least twice a year to showcase multiple campuses and the McAllen community at large. The McAllen Independent School District is an equal opportunity employer and does not discriminate against any applicant on the basis of race, color, religion, gender, national origin, age or disability. 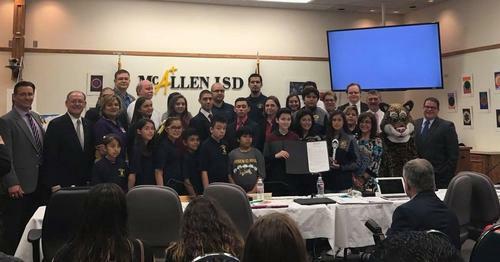 McAllen ISD adopted a Maintenance and Operations tax rate that will raise more taxes for Maintenance and Operations than last year's tax rate. The tax rate will effectively be raised by zero percent and will raise taxes for Maintenance and Operations on a $100,000 home by approximately zero dollars. McAllen ISD adopted a Debt Service tax rate that will not raise more taxes for Debt Services than last year's Debt Service tax rate. The tax rate will effectively be raised by zero percent, and will raise more taxes for Debt Service on a $100,000 home by zero dollars.